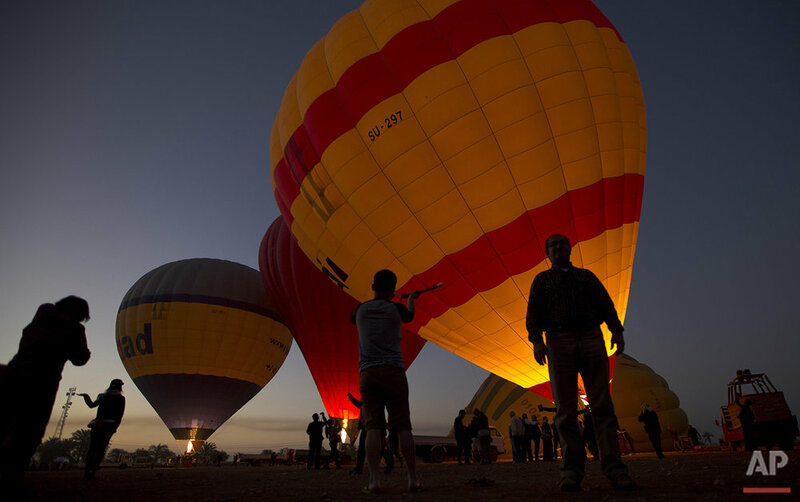 They take off at first light, reinforced wicker baskets filled with people, heading into the skies over Luxor, Egypt. Only from a balloon high in the sky, in the clear air of the early morning, can a visitor begin to grasp the beauty of antiquities on the ground in this one-time Egyptian capital known in ancient times as Thebes. The city in southern Egypt is one of the world's largest outdoor museums, boasting majestic pharaonic temples on the east bank of the Nile River and heavily adorned tombs of some of the best-known ancient kings — including Tutankhamun, the boy king — on the west bank. The path of the brightly colored balloons is determined by prevailing winds. On the ride, the silence is broken only by the whoosh of the gas burners and the occasional exclamations from tourists awed by the sights. Yet there may be mixed feelings at takeoff: a healthy dose of adventurism and anticipation about what the short flight will reveal, but also concerns about safety. Three years ago, 19 people died here in a balloon accident. Since then, authorities have imposed rigid regulations on balloon operators, including cancelling flights on bad-weather days and training requirements for pilots. The ride lasts about 20 minutes, before the pilot begins looking for a safe landing zone. Tourists brace themselves for landing, a usually bumpy affair more akin to a soft crash landing. 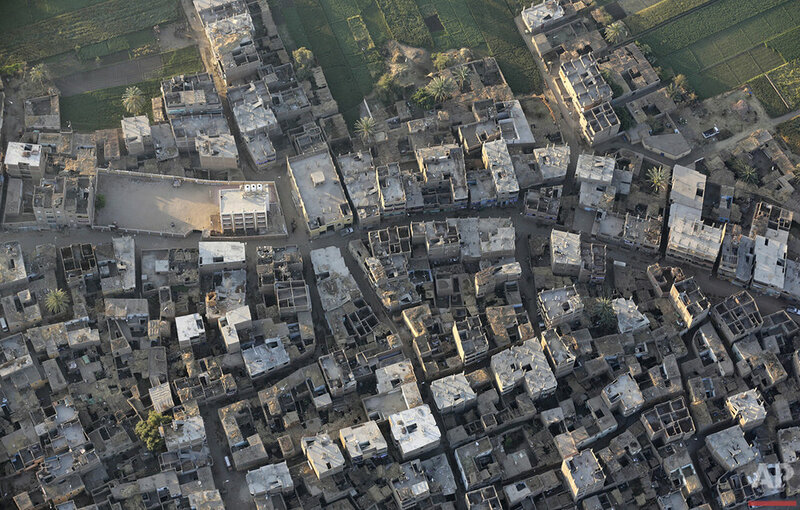 The details of life in rural Egypt come into view as the balloon begins its descent, with farmers toiling in the fields and children heading to school in the dusty roads of the west bank. A dedicated ground crew riding a rugged truck tracks each balloon. The trucks maneuver in anticipation of the landing spot. Once the balloon touches down, they hurry to grab ropes to prevent it from taking off again or moving sideways. LUXOR BALLOON RIDES: Price for balloon rides, including hotel transfers and a souvenir DVD, currently runs at around $30, a bargain without any of the usual haggling for which Luxor is notorious. 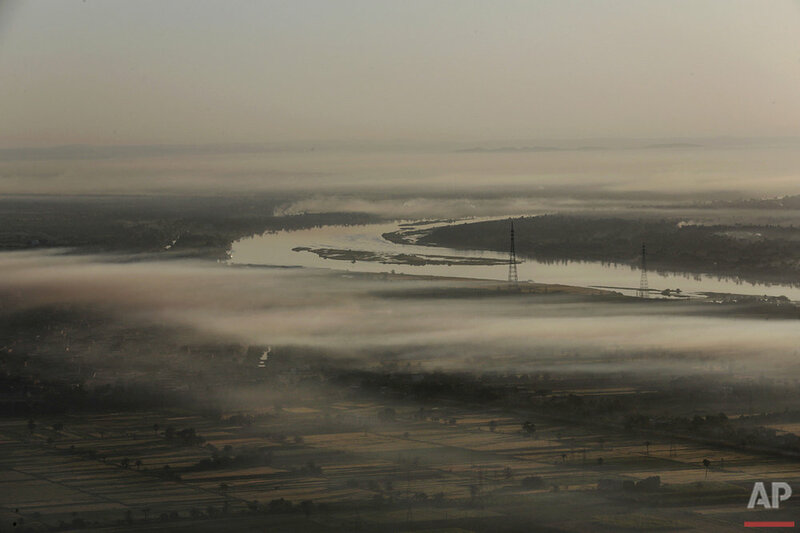 Text from the AP story, Ballooning over Luxor, Egypt: Antiquities from the sky, by Amr Nabil.